Cold Cereal (Cold Cereal, 1) by Adam Rex, February 7, 2012. 432 pages. Published by Balzer + Bray. Source: Publisher for review (unsolicited). Scottish Play Doe-aka Scott-is used to being a little different, and not just because of his name. Sometimes he hallucinates things that no one else can see: Mermaids. Unicorns. A talking rabbit-man in tweed pants. But then one of these hallucinations tries to steal Scott's backpack, and he comes face-to-face with an honest-to-goodness leprechaun inn a tiny red tracksuit. Mick not only claims that Scott must be part faerie but desperately needs his help-Mick's on the run from, of all things, the Goodco Cereal Company. In the busy airport, baggage turned slowly on a carousel. 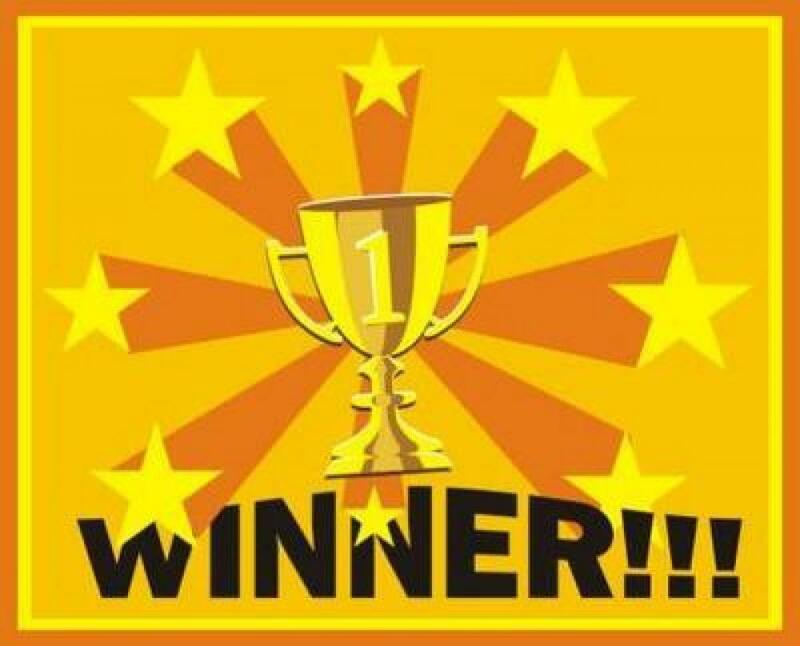 I actually meant to sign up for the YA Historical Fiction Challenge at the start, but as usual I forgot. Good thing you can still enter. I'm really excited about this challenge because somewhere between six and ten historical fiction books on my TBR that I really want to read. Thanks to Sab of YA Bliss for putting together and hosting this challenge. I am going to go for "Level 1" and try am going to try to read 5 books for this challenge. The Probability of Miracles by Wendy Wunder, read by Emma Galvin, 2011. 8 discs (approx. 8 hours). Pubished by Penguin Audio. Source: Publisher for review. Congrats ya'll. I will be emailing you shortly (so be sure to check your spam folder...just to be safe). 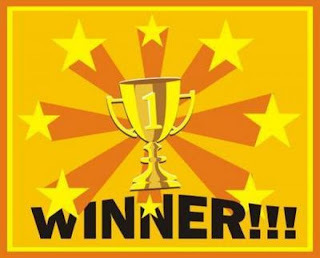 A huge thank you to Stephen Zimmer for his awesome answers for the interview, to Seventh Star Press for the lovely prize, and finally to you my followers for entering. Hope ya'll will love the short stories. 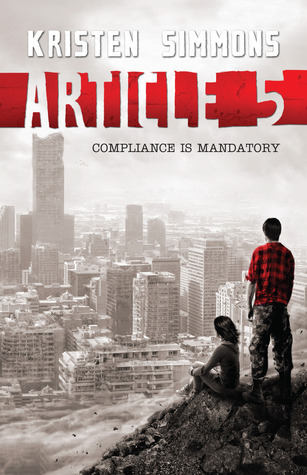 Article 5 (Article 5, 1) by Kristen Simmons, January 13, 2012. 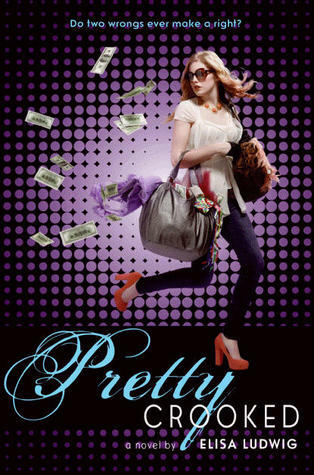 Published by Tor Teens. Why: Because this one sounds like it could be a chilling read, and an absolute page turner. Need. Scarlet by A.C. Gaughen, February 14, 2012. 304 pages. Published by Walker & co (J) . Source: Published (requested). No one really knows 'bout me. The Iliad by Homer and translated by Stephen Mitchell, read by Alfred Molina, 2011. 15 discs (approx. 18 hours). 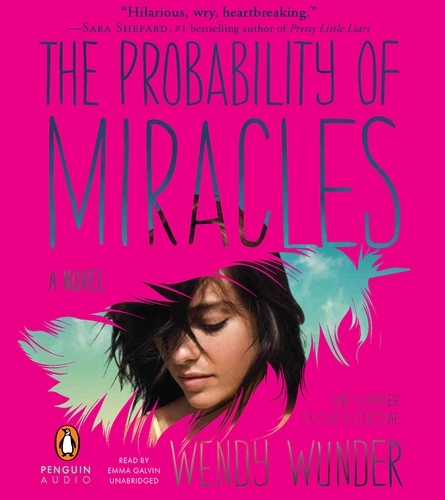 Published by Simon and Schuster Audio. Source: Audiobook Jukebox/Publisher for review. 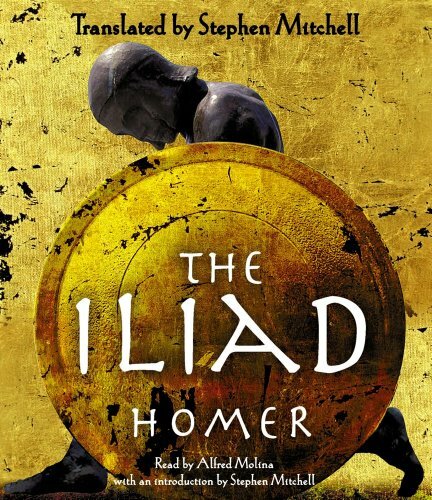 An Iliad for the twenty-first century, this magnificent new translation by Stephen Mitchell sets the highest standards for beauty, accuracy, and aliveness.The power and the beauty of The Iliad resound again across 2,700 years in Stephen Mitchell’s exciting new translation, as if the lifeblood of its heroes Achilles and Patroclus, Hector and Priam flowed in every word. And we are there with them amid the horror and ecstasy of war, carried along by a poetry that lifts even the most devastating human events into the realm of the beautiful. Pretty Crooked (Pretty Crooked, 1) by Elisa Ludwig, March 13, 2012. Published by Katherine Tegen Books. 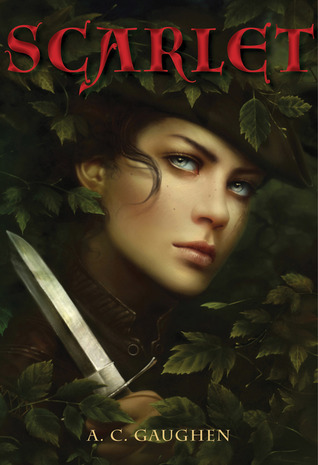 Why: This sounds like a fun read, with the Robin Hood thievery and I cannot wait for this one to come out. Angelina's Secret by Lisa Rogers, February 1, 2012. 260 pages. Published by Spencer Hill Press. Source. Publisher (requested). The premonitions always made her feel this way-weak, disoriented, scared. Alright, every now and again I do clean out my books. And when I do I like to make sure that the books that do not make the cut are given a good home. 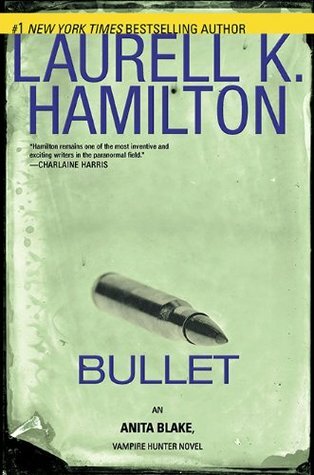 Bullet (Anita Black, Vampire Hunter, 19) by Laurell K. Hamilton. It is a signed hardback, never read. I do not think this series is for me, and probably will not have the time to find/read the previous 18 books in the series. Right now, I can only ship within the US. Trading will be open till the 18th of January (I'll return all trade offer emails on the 19th). I may update this post at some point if I come across any other books that need new homes. 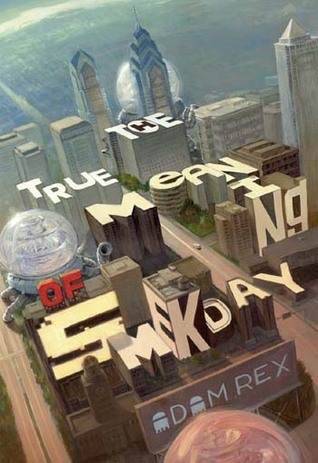 The True Meaning of Smekday by Adam Rex, 2007. 423 pages. Published by Hyperion. Source: Borrowed from Library. Today I am excited to welcome Stephen Zimmer back to the blog. This time Mr. Zimmer has graciously taken the time answer a couple questions regarding a set of short stories published by Seventh Star Press set in the worlds of two of his series. 1. In Temples Rising, the short story set in the world of The Rising Dawn, how would you say it plays into the series? Temples Rising is a really fun one as it goes deep into the pre-Flood world introduced in the Rising Dawn Saga. Where the Rising Dawn Saga's portrayal of the pre-Flood world takes place in a Sumerian-like region, Temples Rising is rooted in an ancient Celtic environment. It shows the kind of world that the Fallen Avatars and the Nephilim are establishing, including some of the more horrific aspects. I can't say too much without giving spoilers, but there are some things in this story that will have a part to play in the novel series as well. This particular story shows the potential of the short story series as well, as it allows me to go anywhere within the Rising Dawn Saga's world and history to tell a story. 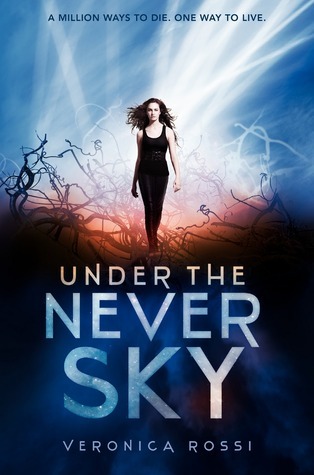 Under the Never Sky (Under the Never Sky, 1) by Veronica Rossi, January 3, 2012. Published by HarperCollins. Why: I am kind of intrigued by the whole virtual enviroment where Aria starts out and amd extremely curious about what will happen once she's out in the real world. Plus I have heard pretty good things about this one. The Silent Oligarch by Chris Morgan Jones, January 23, 2012. 336 pages. Published by The Peguin Press. Source: Published for review. A London intelligence agent pursues a money launderer to expose the dealings of a shadowy Russian oligarch. 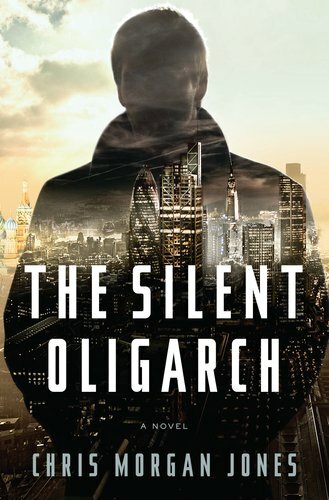 In a world where national borders shrink to insignificance in the face of colossal wealth and corporate power, The Silent Oligarch offers a new kind of hero to combat a new kind of crime. Drawing on his decade of experience at the world's largest corporate intelligence firm-where the wealthy buy the justice they want and the silence they need-Chris Morgan Jones leads us down into the unvarnished realities of our time in the grand tradition of John le Carré. 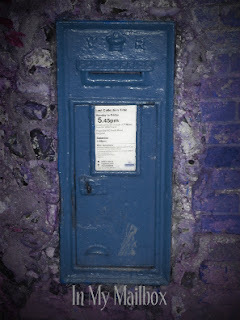 Bearing news from a world hidden behind closed doors, The Silent Oligarch effortlessly creates a new genre in its wake. High in the air Webster watches the unbroken desert flow past, a deep copper red in the dawn, the sand ridged like waves rolling down toward the south. 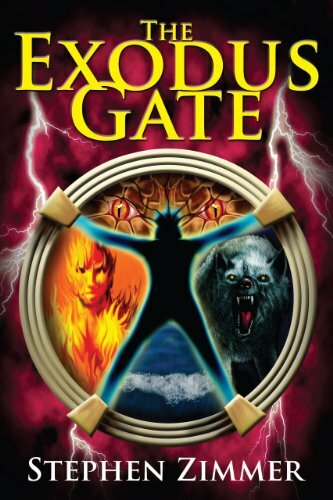 The Outcasts (Brotherband Chronicles, 1) by John Flangan read by John Keating, 2011. 12 hr 18 min. Published by Penguin Group. Source: Publisher (digital download). First in a nautical spinoff trilogy from the Ranger’s Apprentice books. Wolfwind emerged from the pre-dawn sea mist like a wraith, slowly taking phyiscal form. Lilah Bloom hears dead people. And boy, are they annoying! After she's hit by lightning at a wedding, twelve-year-old Lilah Bloom develops a new talent: she hears dead people. Among them, there's her over-opinionated bubby Dora; a comically prissy fashion designer; and an approval-seeking clown who livens up a seance. 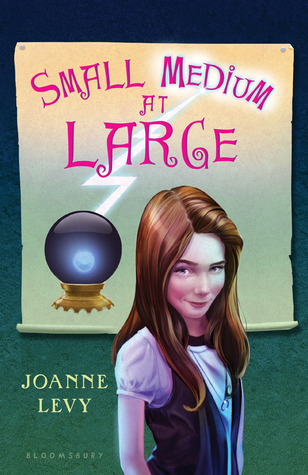 With Bubby Dora leading the way, these and other sweetly imperfect ghosts haunt Lilah through seventh grade, and help her face her one fear: talking to and possibly going to the seventh-grade dance with her big crush, Andrew Finkel. Why: Because Small Medium at Large sounds like a fun read, and we all need more books like that. Aqua 1 by Kozue Amano, 2007. 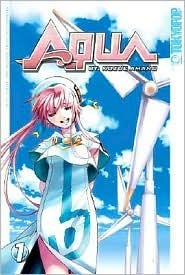 Published by Tokyopop. After 150 years of terraforming, Aqua, the planet formerly known as Mars, now has over 90 percent of its surface covered in water. A young girl named Akari Mizunashi arrives at the city of Neo-Venezia, an exact replica of the old Italian city of Venice, hoping to become an Undine, the most coveted job on Aqua. Follow Akari's adventures as she discovers the wonders of Aria in this prequel to the popular Aria anime and manga series. Why: I think iot sounds interesting, and its been on my wishlist for ages. Was catching up on my Google reader when I came across this challenge, and I had to sign-up for it. while I love fantasy books, I found that I haven't been reading very many of them lately, but I am plan on changing that this year. 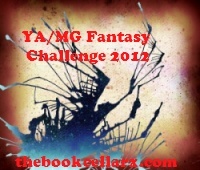 Challenge runs from January 1-Dec 31 2012, and is hosted by Erica of The Book Cellar (you can sign-up HERE). The goal is to read ten YA/MG fantasy books released this year. I'll be posting my list of books read below on this post. 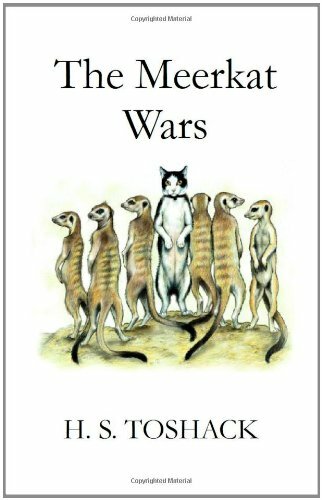 The Meerkat Wars (Paka Mdogo, 3) by H.S. Toshack, 2011. 244 pages. Published by Paka Mdogo. Source: The Cadence Group for review. It's all very well helping a young meerkat who's been poisoned by a scorpion. But when you've made friends with the whole Duwara tribe of meerkats, and you discover that they're at war with the Utongo, you may find yourself involved in that too, even if you're only a little black-and-white cat. And when you realize that the two tribes are fighting because each one believes it lives under The One True Sun, then you may have to undertake a very dangerous journey to help them see things differently. You may have to go through The Gorge. While I love readathons, I am very much excited to participate Deb's first ever Marvelous Middle Grade Readathon. 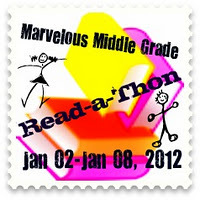 The readathon runs from January 2-8 of 2012 and you can sign-up by going here. I have even been setting aside MG books just for this, as well as ordering a couple from the library. Welcome to the new year, everyone. Hope ya'll had a fantastic and safe holiday. As I was preparing the first post of the year for Vintage Reads I came to the realization that themes are incredible hard to come up with, especially to keep them from getting stale. So in order to keep this feature from being repetitive I have deiced that there will no longer be any themed months...okay except for leading into Halloween because it so deserves a special set of books to choose from. 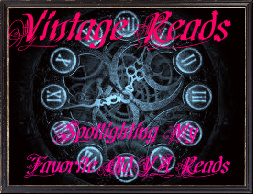 So for now on, I will just randomly select three to four books from my personal collection, and ya'll can vote and choose which one you would like to see reviewed on the blog. I also may have to make this an every other month feature just so I can have time to read and review the winning book. Now that I have probably bored you to tears, lets get down to why we are all here. To pick an older YA book to be reviewed on ye olde blog. I've already read all three of the books-just not in a long time- so I'll be excited by which ever book ya'll pick out.